If you’re in a time crunch and don’t have time and/or energy to simmer chicken/beef/pork bones for 4-6 hours, this recipe allows you to still extract tons of fresh flavor from a few fruits and vegetables to create a robust veggie broth in a fraction of the time. This vegetarian broth serves as the base for many of my vegetarian noodle soups such as Pho, Banh Canh, Mi, and/or Hu Tieu. Although it requires a bit more prep work and simmers longer than canned vegetable broth, you can totally taste the difference in the quality of the broth and control the ingredients, salt, and seasonings that goes into it. Note: Use white fleshed root vegetables like the vegetables listed below or leeks and kohlrabi to create a clearer colored broth. 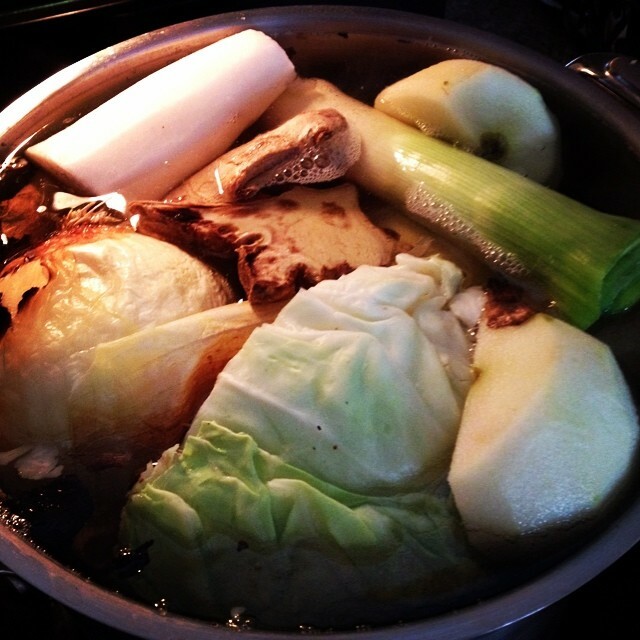 Fill a stockpot with water. Add vegetables and seasonings to the stockpot. Bring to a boil and let simmer for at least 1.5 hours. 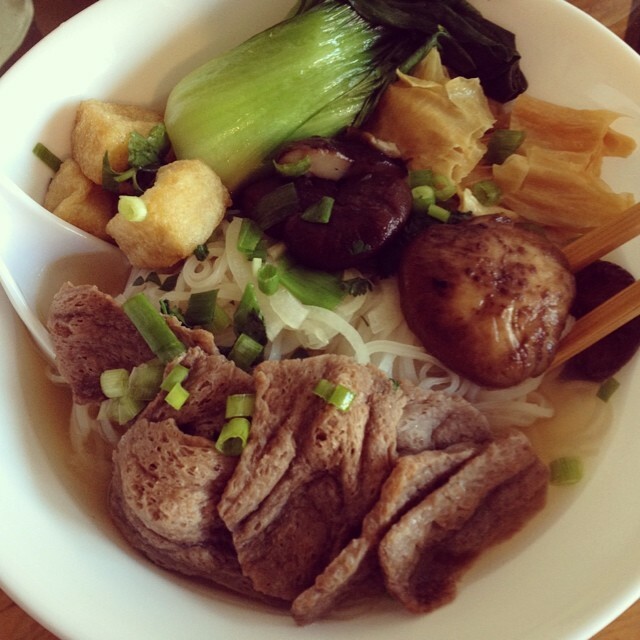 Use the broth to create veggie soups or noodle soups such as Pho, Banh Canh, Mi, Nui, and/or Hu Tieu.